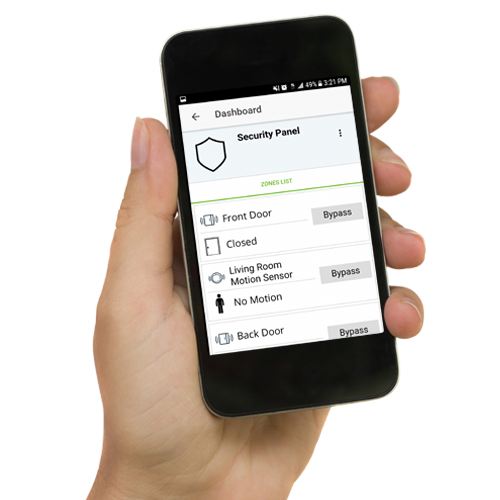 Build a basic security system for a home or building that is highly functional and accessible from anywhere. 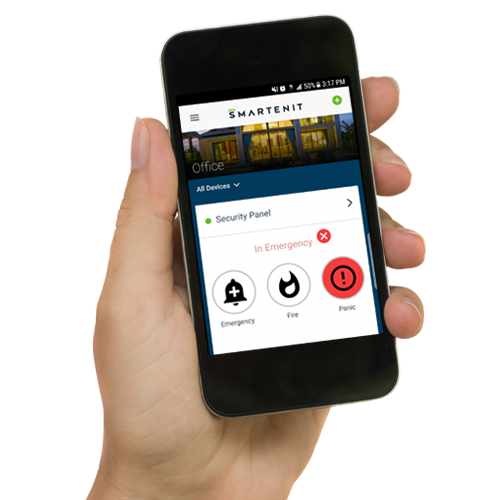 This reference solution provides basic monitoring of doors and windows, a local siren capable of multiple programmable intensity sounds and, and the ability to monitor and control from anywhere. Best of all, the solution is expandable with sensors of many types, and other connected devices such as cameras, lights and appliances. Our Harmony G2 Gateway fully implements a virtual security control panel that monitors the various sensors (zones) and gives access to set the state of each zone and of the overall system (armed, bypassed, in-alarm, etc). The ZBWDS contact door/window sensors connect wirelessly to the gateway, and monitor each door or window being open or closed. 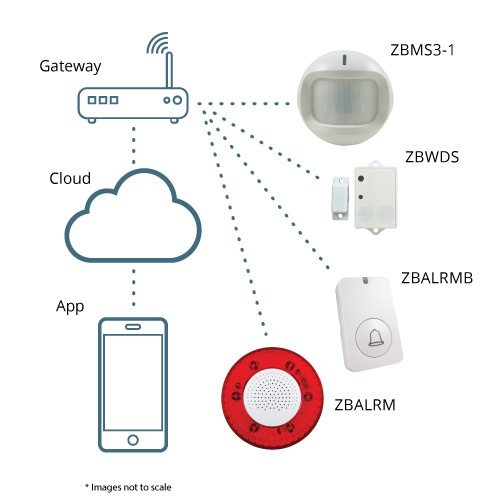 A ZBMS3 wireless motion sensor also connects to the gateway and monitors presence in a specific space. Our wireless ZBALRM programmable siren connects to the system such that specific sounds can be produced in response to signals from the gateway. A third-party wireless dedicated keypad can be installed near an entry or bedside to provide quick system access. 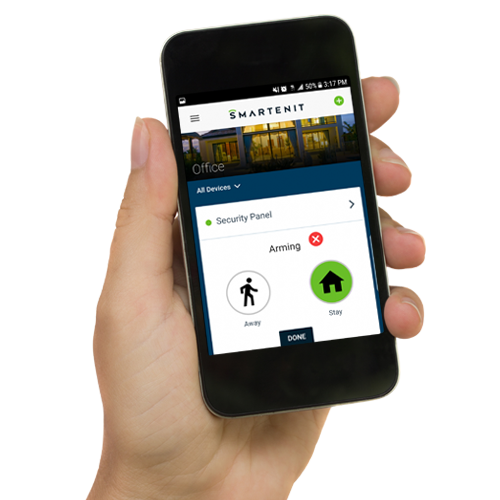 The virtual panel is accessible by an app in a mobile or fixed PC or tablet, either locally through the gateway, or from anywhere via the cloud service. A user can then arm/disarm the system for away or stay modes, bypass a specific zone, or put the system in alarm mode in response to a perceived threat. Notifications are also sent to the app for action by the user from anywhere. This reference solution can be expanded with additional sensors including temperature, smoke, CO2, liquid leaks; as well as with video cameras. Contact us for more information. Access the water heater from a smart phone, tablet or PC to check consumption and cost, set schedules and energy cost. Enjoy lower rates from a utility, lower maintenance costs and the peace of mind of having alarms in case of tank leaks. Offer Demand Response programs based on frequency, consumption and TOU rates. The Smartenit controller provides total insight into the water tank parameters including the state of the heater, instantaneous demand, voltage, current, frequency, etc.